Style: Holiday Style with Fashion World. I thought I'd share the last of my holiday outfits with you today. And what a cliche I am... Tan? Check! White dress? You betcha! It just has to be done! Fashion World were kind enough to send me this beauty just before I left, so I had to take it with me. This beautiful kaftan dress is light and floaty with the most exquisite beading detail. 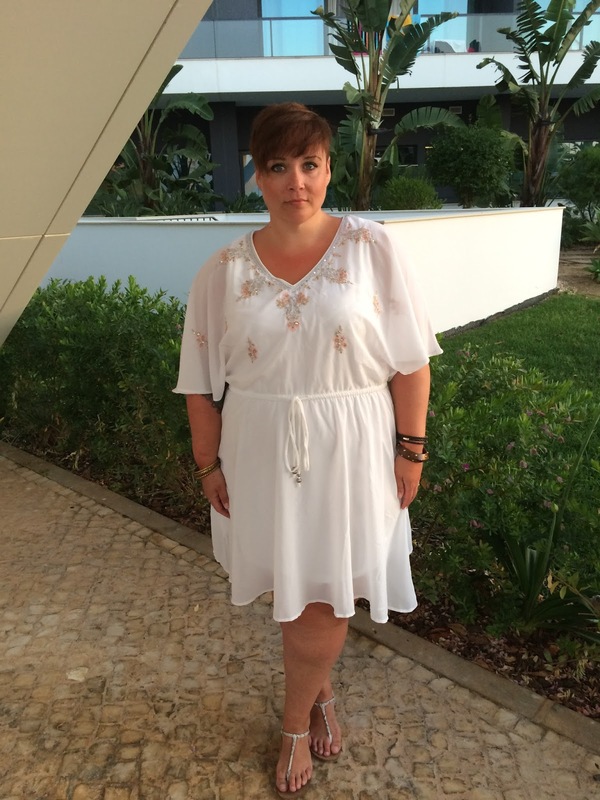 It is fully lined with a light chiffon top layer, perfect for hot weather. The sides are slightly pointed which makes it sit really nicely. I'm wearing the size 22 and found it completely true to size and it sits just above my knee on my 5'7" body. Ah I'm sad my holiday posts have come to an end. I am well and truly back into the swing of things now and have lots of exciting stuff coming up on and off the blog. I will of course keep you all posted! wow, that's gorgeous. easy but different. ooh I love this dress, I need a summer holiday so I can wear it! Simple life doesn’t lead to the rewarding career. Fashion designing is one such career without an exception. Choosing the best Fashion designing colleges in Bangalore is always a challenge. Inifid Bangalore is one such college for an extra ordinary career.